With a little big band lineup of 4 horns, rhythm section, and vocalist, the Mint Julep Jazz Band recreates the hot jazz and swing sounds of the 1920’s, 1930’s, and early 1940’s through arrangements based on original recordings from this era. Lucian is the music director, primary arranger, and co-bandleader of the Mint Julep Jazz Band. Influences include Duke Ellington, Fletcher Henderson, Benny Goodman, Fats Waller, Artie Shaw, Jimmie Lunceford, the Boswell Sisters, Annette Hanshaw, Chick Webb, Ella Fitzgerald, Billie Holiday, Fletcher Henderson, Jack Teagarden, Louis Armstrong, Tommy Dorsey, and many other wonderful and talented early jazz artists. For more information on the band and a list of our upcoming performances, visit http://www.mintjulepjazzband.com. 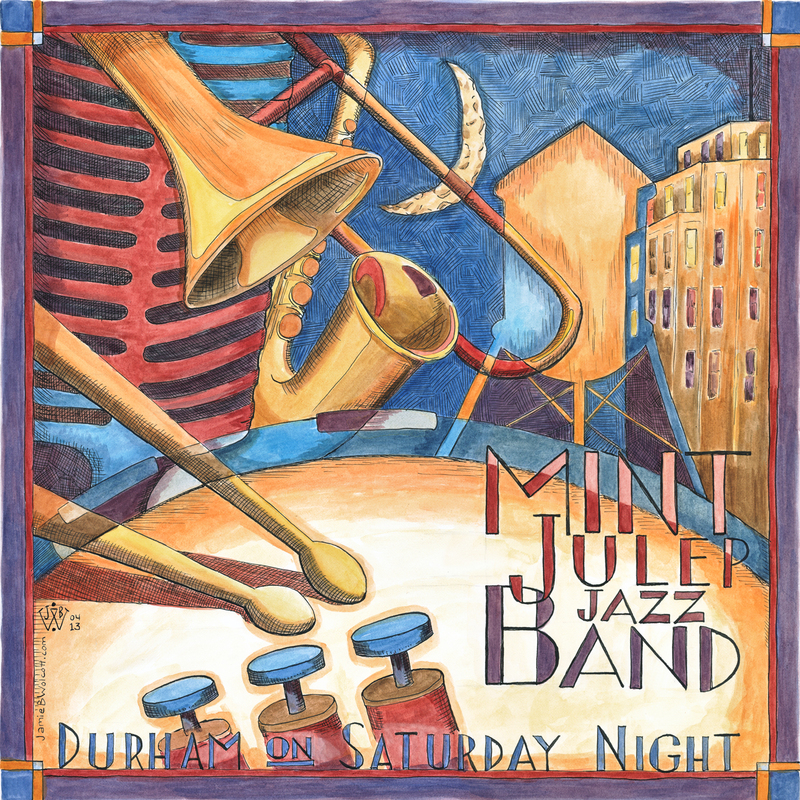 The band’s 2013 album, “Durham on Saturday Night,” is available for purchase through CD Baby and iTunes. If you would like to book the Mint Julep Jazz Band for your event, please contact Lucian and Laura at mintjulepjazzband@gmail.com.